How do I setup a Zebra label printer on my Mac? Installing a Zebra Printer On Mac OSX is easy, simply follow the instructions below. 1. Download the Peninsula Zebra Printer Driver. 2. Connect your Zebra printer to your Mac, either USB or over the Network. 3. Run the file "Thermal Utility Zebra" and follow the instructions to install your Zebra. Now you can print from any application to your Zebra printer just like any other printer. If you need any help installing your printer please contact us and we will be able to help. No additional steps are required to setup your Zebra printer. To view video's of how to setup your Zebra label printer click the links below. Setup your Zebra Printer for standard labels click here. 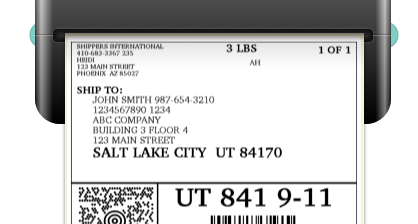 Setup your Zebra Printer to print FedEx labels click here. Setup your Zebra Printer to print UPS labels click here. Setup your Zebra Printer to print eBay Shipping labels click here.